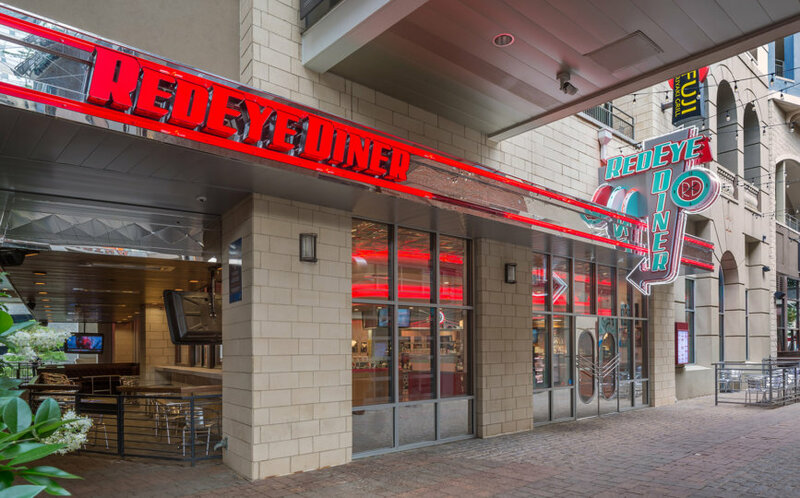 This renovation consisted of a conversion of existing space at uptown Charlotte’s EpiCentre into the Red Eye Diner. 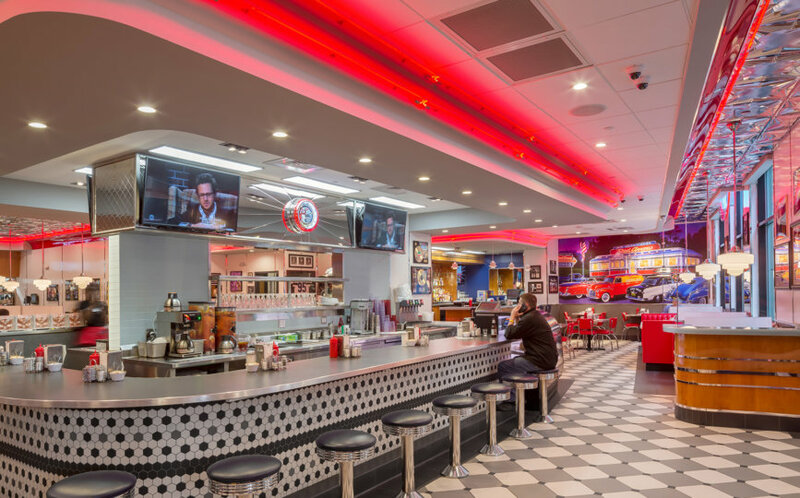 Located in the heart of the city, the Red Eye Diner’s vintage design draws crowds of all ages in a fun, lively atmosphere. Once inside, you are taken back in time, and it is hard to believe you are right downtown. 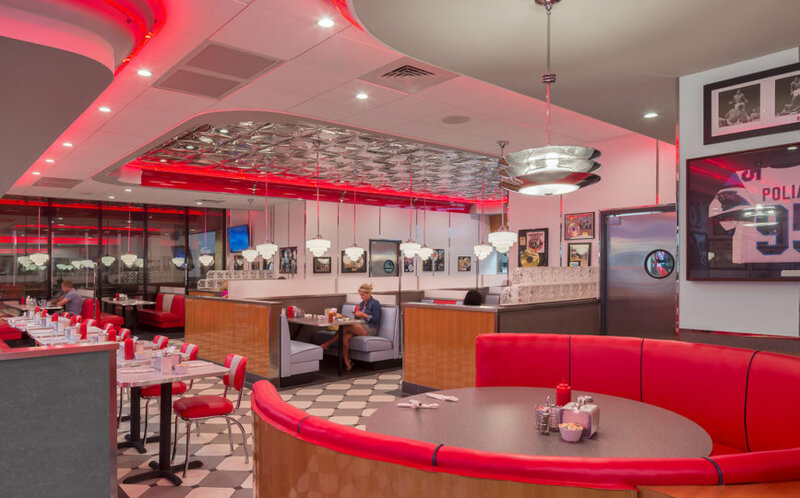 The vibrant details and old-school patterns bring character and personality to the space, as well as to the EpiCentre itself. 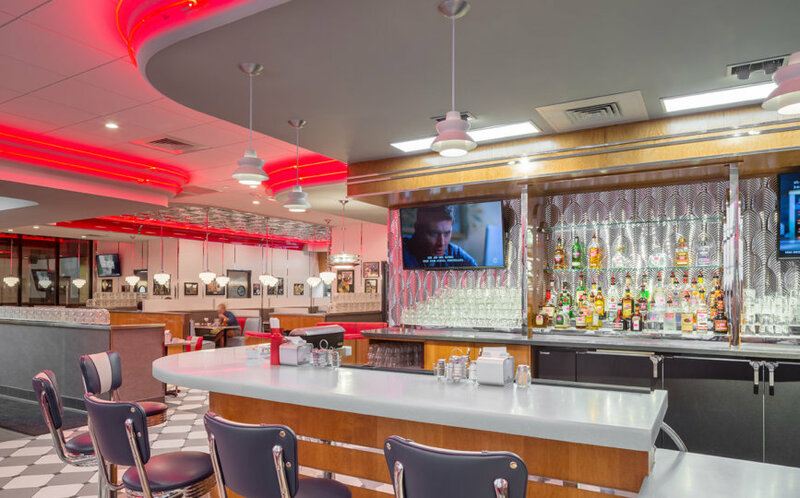 Renovations were completed on the restrooms, the kitchen and the main dining and bar area.